Why are European Dogs So Well Behaved? RECENTLY, I VISITED AMERICAN FRIENDS IN the UK who had moved from Dallas to London’s Kensington South. Since relocating, they had adopted a cat and were considering getting a puppy. However, after reviewing their previous dog experiences, they realized that the dogs they raised had not been nearly as well behaved as the dogs they saw in their new city. As we chatted over drinks, they asked my opinion as a dog trainer: Why were the dogs in London behaved better than the dogs back home? What were dog owners in London doing differently? I told them I would make it a point to watch dogs as we traveled through England, Belgium and France, and report back to them. Following are my observations. Dogs in the UK and in the countries we visited were allowed almost everywhere. We saw them in bakeries in Belgium, inside French toy stores, in the Stonehenge museum, at markets, on elevators, on the trolley, on the train. > It was common to see dogs off leash, except in areas where waterfowl were present. > Owners did not give their dogs obedience commands. I never saw a dog asked to wait before going through a doorway, sit for a pat, stay quiet on a train or lie down under a table. The dogs often did do these things, but they were not asked to do them. > Young dogs in Europe did the same things as young dogs in America. A nine-month-old black Labrador jumped onto a counter to sniff the cheese selection at the market. A small mixed breed stopped to sniff each interesting spot. When a young Bulldog resisted going down the stairs to the Underground, the owner coaxed him down each new step. A man with a very young puppy walked quickly to keep the puppy from picking up objects he found along the way. Nothing I saw made me think that European dogs were born well behaved. The general public ignored the dogs. I never saw anyone ask to pet or give treats to a stranger’s dog. When I approached to inquire about a dog’s age and breed, the response was brief. If I gave a compliment, the answer was often “Oh, that’s very kind.” This noninteraction included other dogs as well. Dogs would see each other or stand near each other but were not allowed to sniff or play. As I examined my notes, I couldn’t help notice that the way dogs are treated in Europe is strikingly similar to the way we treat (or strive to treat) service dogs in the U.S.
From an early age, the environment created for service dogs is meant to keep them calm and comfortable, which keeps them quiet as well. Young service dogs in training are walked through crowds of people who ignore them. Children are taught not to distract them. The dogs are not able to sniff or play while they’re working. We treat service dogs this way because we understand that interacting with them makes training harder for their handler. As a dog trainer, I understand how access to many environments and being ignored by strangers creates success for dogs and their people. When strangers frequently offer treats and attention, or allow their dogs to rush into another dog’s space, it produces specific emotional responses, which will arise each time a new person or a strange dog approaches. Sometimes, this emotion is pleasure, but more often, anxiety, over-exuberance or defensive behavior is manifested. There is no need to ask a dog to sit if no one is approaching. Nor is there a reason a dog would pull toward strangers who have typically ignored him. If being taken to new places were a regular occurrence, it would not excite a dog into lunging through doorways. If barking and pulling were consistently ignored in young dogs, those behaviors could never become a game or a way to get attention. Unlike the restrictions put on U.S. dog owners, Europeans are able to consistently expose their dogs to new sounds, sights and smells, which mentally enriches the dogs without overstimulating them. If a dog receives no reinforcement from strangers, the owner will never have to calm an excited dog or manage a fearful one. It gives dogs freedom to focus on their owners because nothing interesting is coming at them from another source. People have the freedom to work or relax with their dogs in a variety of environments without needing to fend off a strange person or dog, and their dogs gain confidence from knowing exactly what to expect. So when I reported back to my friends, I told them that they should have no trouble raising their puppy to be a well-behaved European dog. Their fellow Londoners would do 75 percent of the work for them by ignoring the dog, keeping their children from interacting with him, allowing him access to a wide range of socialization opportunities, and keeping their own dogs under control. My friends would only need to build a strong bond with their puppy and teach him basic manners. It turns out that it’s not dog owners who are doing things differently across the pond, it’s everybody else. While opportunities for full public socialization are more limited in the U.S. than they are in Europe, there are still ways to instill European-style behaviors in our dogs. • Reward your dog with praise and attention when he notices other dogs, people, loud noises or things that are new to him, but encourage him to focus on you and maintain a relaxed and calm demeanor. Too much interaction and exuberance can lead the puppy or dog to distraction in the future. • Keep high-value rewards with you in the event a person or dog rushes in. If walking, continue to walk, and offer your dog a treat once the excitement has passed and your dog begins to look up at you. If sitting, wait for the other dog to leave and reward your dog for refocusing on you. • Use food toys to your advantage. Practice going to a busy place, sit down, place a food-stuffed toy at your feet and do not let anyone pet your dog. In a few sessions, most dogs will lie down and settle almost immediately when their owner sits. By being proactive and putting these tips into practice, we can train others to have the same respect for pet dogs in training as they do for service dogs. Who knows—we may be able to influence greater access for our U.S. dogs, which would allow them to be part of our daily lives the way those in Europe are today. New puppy owners and breeders sending puppies off to their new homes will both benefit from the information in this excellent blog post by Lisa Mullinax. Click on the title of the article to visit Lisa’s blog for more training advice! I hear this – or variations of this – a lot. Like, all the time. In fact, at least half the dogs in my aggression cases have taken a puppy class. That’s way up from 10-15 years ago. I taught puppy classes for many years. And I can say that even the best puppy class provides only about 5% of the socialization that a new puppy needs. A puppy class is held in just one environment, with one group of people and one group of puppies. Imagine if a child were only exposed to two places – home and the same classroom – for the first 10 years of their life…they would not be a well-socialized child! Socialization means exposing a puppy to many novel sights, smells, sounds, and surfaces, in as many different environments as safely possible, ensuring a pleasant experience in those environments, especially for (but not limited to) the first 14 weeks of their life, the critical period of socialization. Basically, be prepared to come home from work and take your puppy on a safe socialization field trip to a new location every day for the first six weeks in your home. After that, you can drop it to 2-3 days a week until your puppy is at least 5 months old. Ideally, until your puppy is past the adolescent stage (approx 18 months old). Seem extreme? I didn’t say these trips have to last for hours. They can be quick trips to the local grocery store parking lot or even sitting on a local park bench (keeping new puppies off the ground) for 10 minutes before heading home. But you need to do something new every day. Or, you know, you could wait 6 months and then spend $900 or more to hire a trainer to help you undo your dog’s leash reactivity or stranger-directed aggression. Totally your choice. Socialization prepares your puppy for life in your world, which frequently presents unusual and even scary situations. Just because your puppy is currently friendly to dogs and people now, in your home, or in one or two environments, does not mean you don’t need to provide the same amount of socialization that a more reserved puppy needs. Not if you want to ensure that your puppy remains friendly. The more novel experiences your puppy has which result in a positive, pleasant outcome, the more prepared your puppy will be for his or her future life. Contrary to popular belief, a puppy does not need to make contact with dogs and people for socialization to occur. This is why you can still provide socialization without putting your puppy at risk. Carry your puppy into dog-friendly stores (this doesn’t just mean pet stores – you’d be surprised at how many banks and non-dog retail stores are willing to help a responsible owner with socialization). Be generous with rewards. Cheese. Hot dogs. Small little tasty bits of meaty, cheesy goodness that accompanies all new and potentially scary experiences. No, your puppy isn’t going to get fat. Watch new people from a distance – overly-exuberant puppies can learn that they don’t get to greet everyone just because they want to (impulse control – important life skill), and shy puppies can learn that the appearance of strangers does not mean a scary encounter. Carry your puppy into the vet for non-vaccination visits, and the groomer (if your dog will require grooming) for a quick treat without the shampoo. Expose your puppy to other dogs…from your car: Sit in the parking lot of the dog park and let your puppy watch the dogs come and go. Fill a kiddie pool with water bottles, boxes, and other strange objects and let your puppy explore…then repeat this in different areas of your house, in your yard, even on your front porch (if you can safely contain your puppy and prevent him/her from getting on the front lawn). Buy a fun playset with tunnels and tents from your local toy store. 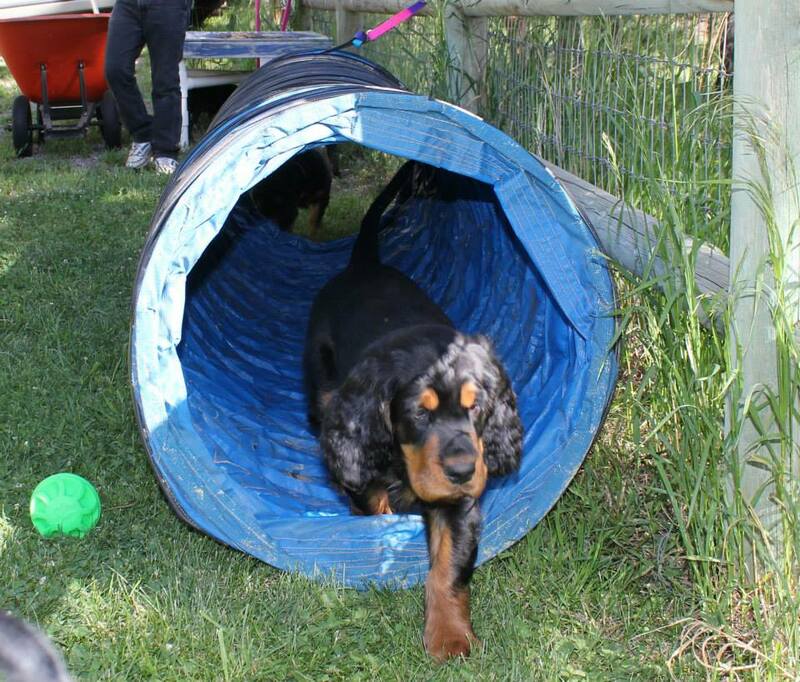 Fill the tunnels with toys and treats to encourage your puppy to explore. DON’T ever force your puppy to approach, enter, or interact with anything that they aren’t willingly approaching, entering, or interacting with. EVER. Shy puppies sometimes need multiple approaches to work up the courage to interact. Don’t force it. If you do, I might just show up on your porch and squirt you in the face with a water bottle. No! Bad puppy owner! DON’T place your puppy on dirt or grass in public areas or in back yards where friends/family have lived for less than two years. That’s because viruses like Parvo can live in the soil for that long. DON’T take your puppy to the dog park until they are at least 5-6 months old and have already been socialized to a variety of other dogs. Dog parks are for socialized dogs, not for socialization. Being charged, swarmed, knocked over, humped, and generally terrorized is definitely not a positive experience. DON’T let well-meaning strangers overwhelm your puppy with enthusiastic greetings, invasive handling, or their own, special form of training that they claim to have gleaned from dog ownership. DON’T let your puppy meet strange dogs you encounter in public unless you are prepared to embark on a significant behavior modification program. Relying on a complete stranger to be honest and objective about their dog’s behavior is gambling with your puppy’s safety. DON’T let your friendly puppy get away with murder in the name of socializaation. Part of socialization is learning how to interact with the world. For confident, friendly puppies, that also means learning good manners around strangers and strange dogs. Allowing a friendly puppy to treat the world like his mosh pit when he is little is going to make life super fun when he’s 60 lbs. Starting around 5 months of age, your puppy is going to freak out a little. Part of this is normal adolescent behavior (oh, and has anyone told you that this is when teething really starts? ), but adolescent dogs go through multiple and brief fear periods. During this time, you’re going to need to renew your socialization efforts. Here’s the key: Listen to your dog. If something is scaring your adolescent dog, the fear is very real to them. Don’t force the issue just because you know it’s just a statue or garbage can. Give your dog the distance they need to feel safe, then reintroduce the scary thing from a distance, accompanied by LOTS of great things. This is where a good trainer can help you. The goal here is for your dog to learn that a) scary things usually aren’t as bad as they seem and bravery is always rewarded, and b) they can trust you to keep them safe. Waiting until a puppy has received a full set of vaccinations to begin a socialization program is too little, too late! Socialization begins on Day 1 with you. The first 8 weeks in your home should be devoted to teaching important life skills that you only get one chance to get right. Don’t worry about “obedience” training right away, outside of a good name response and recall. A solid down-stay is not going to make for drama-free nail trims or prevent your dog from biting strangers. Could you skip all this work and still end up with a happy, well-adjusted pet? Maybe. But that’s a big – and expensive – risk to take with a 15+ year commitment. Could you do all this work and still end up with a dog with a behavior problem? Maybe. There are a lot of other factors that contribute to aggressive behavior, including genetics (trainers can’t fix your dog’s DNA) and learning history (if a trainer tells you to yank on your dog’s pinch collar every time he sees another dog, he’s got a really good chance of getting cranky when he sees other dogs). Dog behavior is about risk assessment and management. My recommendations to my clients are designed to minimize the risk that their dog will develop a behavior problem in the future. There are no guarantees – behavior is not static, it changes and adapts depending on the dog’s needs. Your job is to reduce the odds that your puppy’s behavior changes for the worse. By doing all this work, you significantly minimize the risk that your dog will develop a problem that could jeopardize his success in your home…or even his life. If this seems like more work than you can handle, you might not be ready for a puppy. Check out your local shelter for a nice 4+ year-old dog. There are no longevity guarantees no matter what age dog you get, so you may as well pick a dog who fits your lifestyle now. 10 years with the right dog for your lifestyle is far better than 15 years with one who doesn’t. Finally, if your puppy’s veterinarian insists that your puppy stay indoors until they are “fully vaccinated,” find a new veterinarian who is up-to-date on the importance of puppy socialization. And if a veterinarian or a member of their staff tells you that you must physically manhandle, pin, roll, or shake your puppy to establish dominance, pick up your puppy and RUN out of that office as fast as you can! Thanks to Barbara Manson for sharing this article from the AKC website. Gordon Setters are not normally an anxiety ridden breed, however they can have their anxious moments just like every other dog, cat, pig, sheep or goat – not that we’re talking about cats, pigs, sheep or goats here, I just get to rambling sometimes. As owners and breeders though, we do need to know how to read a dog’s body language, and we especially need to understand when we are seeing signs of anxiety so we can help to stabilize our dogs emotionally. We don’t want to be adding fuel to this fire! 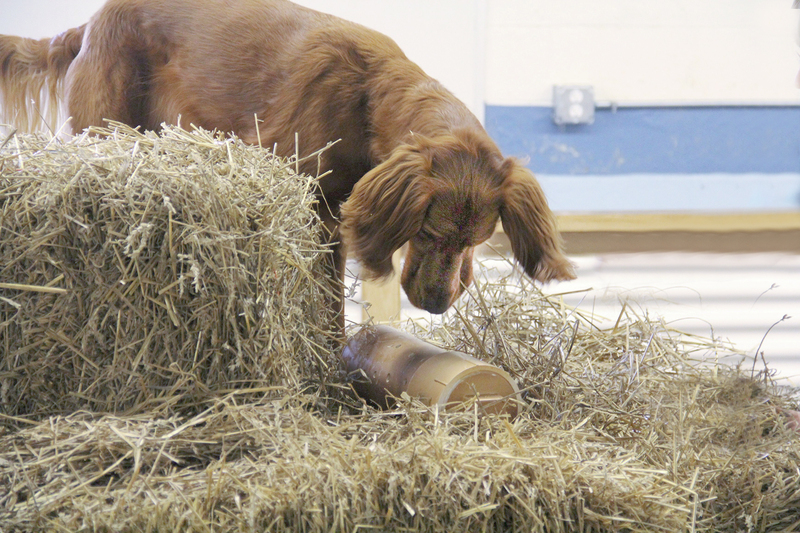 We thought this article was a good starting place, but we also need you to share your advice, comments and suggestions to round it out, especially where your insight pertains to our Gordon Setters. Let’s give new and inexperienced Gordon owners a resource to guide them in building a calm, well behaved and socially adjusted dog. Thanks so much for contributing advice or stories in the comment section below. Meanwhile you can read this article about anxiety below or follow the link embedded in the title to the AKC website for access to this and many other excellent articles. If you or a loved one suffers from anxiety, then you know how difficult it can be to get through the day. What you might not know is that some dogs also suffer from anxiety. Dog anxiety affects all breeds of dogs and can lead to serious behavioral problems if left untreated. Luckily, there are steps owners can take to help their dogs live with canine anxiety. Here are the symptoms, treatment options, and prevention techniques owners need to know about. Fear-related anxiety can be caused by loud noises, strange people or animals, visual stimuli like hats or umbrellas, new or strange environments, specific situations like the vet’s office or car rides, or surfaces like grass or wood floors. These fears may seem inconsequential to us, but they create a lot of anxiety for dogs. Separation anxiety is estimated to affect around 14 percent of dogs. Dogs with separation anxiety are unable to find comfort when they are left alone or separated from their family members. This anxiety often manifests itself in undesirable behaviors, such as urinating and defecating in the house, destroying furniture and furnishings, and barking. Age-related anxiety affects older dogs and can be associated with cognitive dysfunction syndrome (CDS). In dogs with CDS, memory, learning, perception, and awareness start to decline, similar to the early stages of Alzheimer’s disease in humans. This understandably leads to anxiety in senior dogs. By far the most dangerous symptom of dog anxiety is aggression. This aggression can be targeted directly or indirectly, depending on the situation. Direct aggression occurs when a dog acts aggressively toward people or other animals. Indirect aggression can be equally dangerous, and often happens when a person comes between the dog and the source of the dog’s aggression, such as another dog. Even if a dog is prevented from harming others, aggressive behaviors such as growling or barking can lead to dangerous situations for humans and dogs, alike. Urinating and defecating in the house is a common symptom of separation anxiety. Anxious dogs often work themselves up to the point that they pee or poop in the house, even if they are housebroken. This is frustrating for owners and can cause damage to property, not to mention the unpleasantness of the cleanup. Destructive behavior is also common with separation anxiety. The damage is usually located around entry and exit points, like doorways and windows, but dogs in a state of heightened anxiety are also at risk of harming themselves. Attempts to break out of dog crates, windows, and even doors can result in painful injuries and expensive veterinary treatments. The best way to treat anxiety is to talk with a veterinarian. She can help you identify the type of anxiety your dog suffers from and the possible causes and triggers. Veterinarians can also rule out any other medical conditions that could be causing your dog’s symptoms. Your vet will help you come up with a treatment plan. Since anxiety is often caused by a variety of factors, the best way to treat it is usually through a combination of training, preventative strategies, and in some cases, medications. There are several training strategies dog owners can use to treat anxiety. One way is counterconditioning. The purpose of counterconditioning is to change your dog’s response to the stimuli responsible for anxiety, usually by replacing the anxious or aggressive behavior with a more desirable behavior, like sitting or focusing on the owner. Another training strategy is desensitization. The owner slowly introduces the dog to the source of anxiety, preferably in small doses and at a decreased intensity. Repeated exposure and rewarding positive behavior can go a long way toward managing anxiety. You might want to contact a professional dog trainer to help you choose the best approach for your dog, as training an anxious dog is not always easy. Some cases of anxiety are so severe that your veterinarian may recommend medications or natural therapies. SSRIs and antidepressants are occasionally prescribed for dogs with anxiety, including fluoxetine and clomipramine. For predictable anxiety-producing events like thunderstorms, fireworks, or car rides, your vet might prescribe a medication such as benzodiazepine in conjunction with an antidepressant to help your dog cope with the stress. Senior dogs with cognitive dysfunction syndrome may benefit from the drug selegiline, which can help reduce some of the symptoms of CDS. Selegiline is also used for treating chronic anxiety in Europe. The Merck Veterinary Manual also states that natural therapies and products can help dogs with anxiety. Some products work best in conjunction with other medications, while others can be used alone, depending on your dog’s case. Natural products use pheromones and aromatherapy to reduce anxiety. Talk to your vet about the natural products best suited for your dog. It is hard to predict if a pet will develop anxiety, but there are ways to help a new dog or puppy avoid anxiety-related problems. One of the best things you can do is learn to read dog body language. Knowing when your dog is uncomfortable or scared can help you avoid negative experiences or use them as a positive training moment. Body language can also tell you when a dog is getting anxious, which is especially useful if your dog has a history of aggression-related anxiety. Proper socialization can prevent the development of anxiety. Introducing your dog to new people, dogs, animals, places, and experiences can help them avoid an exaggerated response down the road, and also helps them become well-adjusted canine citizens. Obedience training is an essential tool for preventing and managing anxiety. It lays the foundation of a healthy relationship and establishes trust. A well-trained dog is easier to socialize than a dog without training, and obedience classes are a great place for dogs to meet other dogs in a controlled environment. Regular exercise and stimulation are crucial for a dog’s development, physical, and mental well-being. A stimulated dog is less likely to pick up destructive behaviors, and good nutrition is equally important for your dog’s health. Making sure you take care of your dog’s physical and mental needs can help you prevent any behavior problems that don’t stem from anxiety, letting you know the areas where your dog needs the most help. If your dog has been diagnosed with anxiety, you can also try to avoid or prevent situations that trigger your dog’s anxiety. For example, if you know that your dog grows anxious around large groups of dogs, you should avoid dog parks. Avoidance does not mean that you need to put your life on hold, but it can reduce some of the stress on you and your dog. If the source of the anxiety cannot be avoided, preventative measures like leashes, body harnesses, and, in some cases, basket muzzles can prevent dangerous situations. Once you know your dog’s triggers, you can prepare for these situations ahead of time. Don’t let your dog’s anxiety take control of your life. With the right treatment strategy, you can help your dog overcome his anxiety and prevent dangerous and destructive situations from happening in the first place. If you think your dog might have anxiety, talk to your veterinarian today about a treatment plan that best fits your dog and your lifestyle. When Gordon Setters get Spooked (and it ain’t Halloween)! I call it the Gordon Setter’s “Teenage Angst” phase. You’ve spent all that time, trotting all over the globe with your new puppy, properly socializing him by slowly and constantly exposing him to new settings, crowded hallways and wide open spaces, strangers in all shapes and sizes, flapping awnings and billowing tents, ringing bells and blaring loudspeakers, kids on bicycles,trikes and skateboards, the dog next door and the neighborhood cat. You’ve covered all bases and your pup takes it all in stride with a wag of his tail. Then one typical, normal, everyday day, your teenage pup spies an out of place toy, one he’s played with since the beginning of time, all tangled and humped up, a dark mass of unknown origin, a terrifying creature surely waiting to pounce from behind that table leg to maim and destroy said puppy. Pup skids to a halt, tucks tail between legs, issues a frightened bark and slowly, ever so slowly, creeps backward with eyes frozen on that monster, while in his teenage heart muttering a little puppy prayer that he’ll survive this day unscathed! What I’ve (not so) affectionately called teenage angst, is actually known as Secondary Fear Phase in the very informative article written by Laura McAuliffe, Dog Communication 2016 that I’m sharing here. 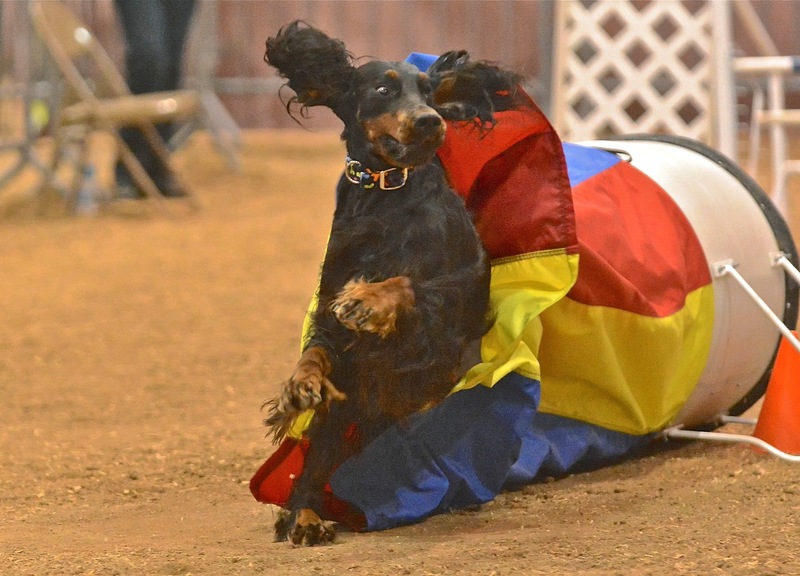 I do want to add that while she mentions this phase arriving anywhere from 6 to 18 months of age, you may find, that in the Gordon Setter, who matures quite slowly, this stage may arrive later, say up to age two. There are some excellent suggestions in Laura’s article on how to help your young one through this stage, enjoy and don’t forget to share with your “new” puppy owners so they can be prepared for the day…when the spooks come out! 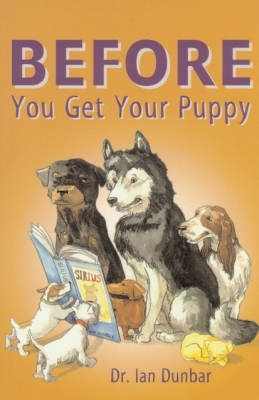 If you have a puppy anywhere from around 6 months old to 18 months (and more!) and they suddenly spook at anything at all you will often be told by your doggy friends, with a knowing nod, ‘oh, that’ll be the secondary fear phase’. Your teenage puppy may suddenly show fear, backing away or perhaps even barking at things they coped well with before- people with hats, flapping carrier bags, people on ladders, bikes and scooters, black or flat faced dogs etc are all top ten triggers. But what is ‘secondary fear’ and what should we do about this sudden spookiness? Secondary fear isn’t very well defined in the scientific research and there’s some debate about when it occurs (which is likely to influenced by breed and genetics) and if it actually occurs. It’s well reported though that dogs may suddenly (and hopefully temporarily) become more fearful about certain things. Secondary fear is thought to occur anywhere between around 6 and 18 months old, during the period of social maturation where dogs change from puppyhood into adults. There are complex hormonal and neural changes that also occur around this time and sudden fear may well be linked to these physiological changes within the body. The primary fear center in the brain, the amygdala, is enlarged at this time meaning that it reacts more sensitively to the environment and stress hormones are at their highest levels in adolescents. In evolutionary terms, secondary fear also often corresponds with the time (around 8-9 months old) when older puppies of wild and semi feral dogs would have left their family group and ventured off alone into the big wide world. It is thought that a scared period at this time would protect puppies from venturing too close to things that could present a danger to them. Perhaps we still see throwback behavior to this time. Not all dogs will have a secondary fear phase and some dogs may have more than one (if you are unlucky!) It typically lasts between 1 and 3 weeks and needs careful handling as there is a risk that dogs may become permanently fearful of certain thing if they are exposed to a very traumatic experience at this sensitive time. Don’t force them to face their fears or immediately embark on a heavy duty program of socialization. For example, if they showed fear towards tall men with hats, don’t expose them to lots of very tall men in hats in close proximity. Space and time are what you need right now- let them see the things they are worried about but from a distance they can cope with and ideally give them several days after a ‘scary incident’ before you expose them to the same thing again. We give them space from the things that scare them (perhaps on the other side of a road for example) so that your dog stays ‘under threshold’- by this we mean they are in an emotional and physiological state where they can cope aren’t so stressed that they are can’t learn. Doing this gently and without stress is key so that we make good associations. We give them time (at least a few days) so that they have chance to ‘de-stress’ and get back to normal before exposing them the stimulus again. Allowing time to recover avoids the effect of trigger stacking (where scary things add up together to result in a very stressed dog) and gives your dog a recovery period. We always ensure that we don’t make a big deal about the ‘scary thing’ – we never force our dog to approach the flapping bag/scary plant/person in high visibility, we give the dog the choice if they’d like to approach and we watch their body language carefully to judge how they are feeling. We also counter condition around the ‘scary thing’ from a distance so we pair exposure to it with things the dog likes (normally food!). Counter conditioning takes practice to get right so consult a trainer or behaviorist if you need help. Be careful not to lure towards trouble– as humans we are always tempted to get out dogs (and our children!) to face their fears but this isn’t helpful. If we lure (with food in the hand) a dog towards a ‘scary’ bin/person/dog then the dog will follow the food towards the scary thing and may then suddenly become very worried when they realize how close they are. Luring then towards scary things also removes the dogs free choice, which is something that we believe is very important- to give our dogs choices. Avoid making it worse– if you expose a fearful dog to something they are scared of in the wrong way, or too close, or for too long, or to a too scary version of the thing, then you risk making the dog MORE fearful rather than less scared. Do lots of low arousing, feel good activities to help get through a spooky phase. Loads of scent work and touch ground work is best and being around people and dogs that they know and like. Don’t pick this time to start something new and potentially stressful. I delayed starting Sylvi’s hydrotherapy as she was in a fearful phase at 6 months old and showed sudden spookiness towards novel objects and people. So going to a new place, being handled by a new person, wearing a floating vest, being showered and dried etc would have been too much for her at that time. Two weeks later when she was back to normal we started hydro and she thrived. Think back to early socialization- are there any gaps or things you didn’t cover? In winter puppies it’s common to forget to expose them to sunglasses and summer hats and in summer puppies we can forget to get them used to big bulky coats and winter hats for example. Did you miss out mobility scooters and are they an issue now? If you’ve identified a gap then remedial socialization is a great idea- don’t be afraid to ask for help from a reward-based trainer or behaviorist to help you with this. Check they are feeling okay- consult your vet is they are behaving out of character or if you see a sudden change. Adolescence can mark the onset of some medical conditions so always rule out any medical cause (including pain) for behavioral changes. Fear and pain are strongly linked and can exacerbate each other. Don’t assume that it’s ‘just’ behavioral as they are young, it’s crucial to rule our medical causes. If the fearful phase persists or gets worse then don’t delay in getting help, all behavioral issues are easier to ‘fix’ if they have only recently occurred rather than behaviors that have been practiced for months or years. With any luck though your normal (whatever normal is!) adolescent will return pretty quickly. by Laura McAuliffe, Dog Communication 2016. Many thanks to Bill Dargay for allowing us to use his Gordon Setters in costume photos for this spooky little article! Isn’t it true that when we’re having a bad day our Gordon Setter knows exactly how awful we’re feeling? With gentle eyes they peer into our souls offering loving comfort and the gentle hugs we so desperately need. 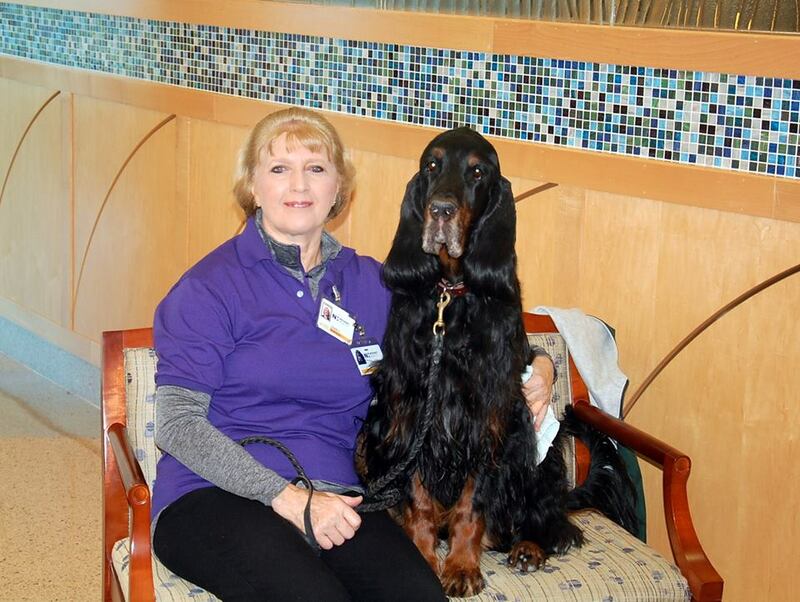 Some of our Gordon Setters have convinced their humans to take them to hospitals, nursing homes, schools, shelters and the like to share the comfort that only a dog can give to humans in need of this therapy. 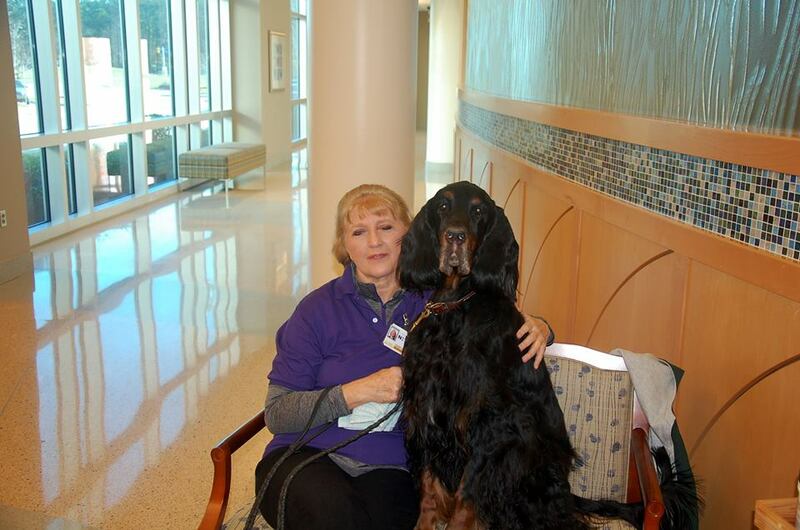 Travis is one of those dogs and his human, Diane Dargay is happy to serve as his chauffeur/ambassador as he travels to share his love at a local hospital. If you’d like to learn more about how your Gordon can offer similar therapy to those in need Diane would be happy to answer your questions and provide support to guide you along the way. We’ve provided a contact form at the end of this article if you’d like to reach out to her. The video featured here is a televised talk show program called “Health Watch” and this segment is about therapy dog work at a local hospital. The video offers you a view of how such programs work, along with shots of the dogs performing their therapy. All it takes is a gentle dog with a bit of training to help heal a human in need. If you only want to see Gordon Travis at work you might skip to time slots: 1:47 and 6:31 and 9:35.